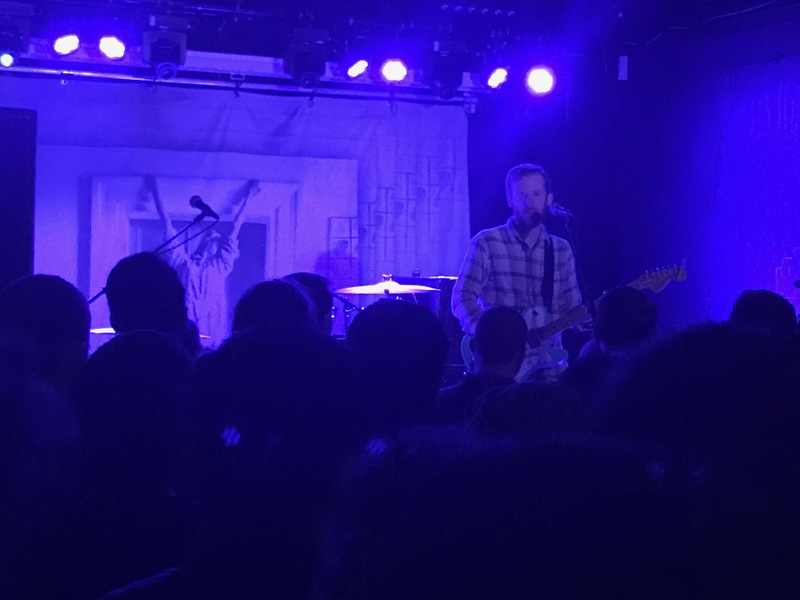 A rare trip into Nottingham with Nick and Ella was on offer this week to see Kevin Devine and the Goddamn Band at Bodega. When we were plotting the trip I had grand ideas about going to do cheesy tourist things, maybe grab a burger at Annie’s before heading to the gig. Luckily they were loosely made plans, by the time we’d wiled away a pleasant day talking nonsense and eating the breakfast/brunch Ella had made there wasn’t really time for much beyond a cheeky coffee and cake and a drink before the doors opened. I feel a little bit like I might’ve sold my home town a bit short, really – but there’s always the next time! With an early curfew and four acts to get on the music was due to start before seven. I do like Bodega as a venue, although did fall foul of the finding the place where I’m in everyone’s way. As all the acts were new to me I wanted to observe from afar, and I’m always conscious of how my height can restrict people’s views – but we found a cunning zone triangulated by the bar, the merch desk and the door which seemed to mostly work – although why so many people go to busy gig venues with rucksacks strapped to their backs will always evade me. Avoiding turtle-like folk aside it was a pleasant crowd, I was finding it odd to be at a gig where I literally knew two people in the room. Although we did meet Tom (the second act of the night) through Nick and he was a magnanimously friendly chap covering the merch. But more on him later. There was a bit of a beer scandal too – Monday night in the Bodega downstairs is happy hour, their house lager is £2 – unless you go upstairs then it’s £3.40. Scandalous! It’s easy enough to nip downstairs for one though. I think lime and soda was cheap at both bars, since I was playing designated driver! First things first – apologies for the dreadful calibre of photos, I know that I’m not a great photographer and I use my phone for them, but they seem particularly rubbish! No idea whether it was unkind lighting or unusual cack-handedness on my part! The first act was George Gadd a local chap who took to the stage confidently with his guitar – confidence-boosted by friends in the crowd he was full of banter and funny quips, which belied the more serious sound of his music. A singular lack of song titles were often forthcoming, I’m going to go with I’m Not Human Anymore for the opener – he threatened to launch into Robbie Williams’ Angels as part of an in-joke with an audience member but this led into Runaway (albeit with the last couple of bars comprising the outro to Angels)! It was an enjoyable start though – we hadn’t clocked him on the bill previously too so definitely a bonus. The last song covered a recent break-up which involved him having lots of his plants being taken away in cups by his ex – which sounded hilarious in the pre-song telling, the song itself sounded much more poignant and sad! He was flogging home-made EPs for just a quid so I grabbed one, I’ve not had a chance to listen yet, though. Tom was up next – under stage name The Lion and the Wolf. Tom is a strapping bloke with an epic beard. 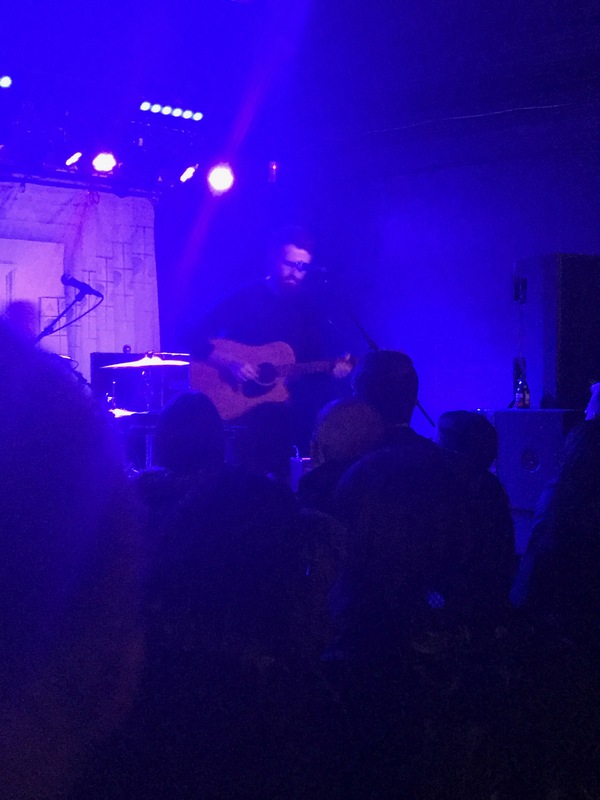 He opened with melodic acoustic guitar work and when he started singing I must admit I was surprised at the high key, I was expecting a bit of a growl. It sounded lovely though, it’s a shame there was a bit of background chatter but a redeployment of ourselves limited that somewhat – I found the music quite mesmerising. One song was charmingly about an attempt to kindle (not ‘Kindle’!) a relationship from a friendship with a lady who saw colours and shapes when hearing music, to no avail. I think it was called Colours. It’s led to me reading about synesthesia, fascinating – it reminded me of the disappointment of not seeing any colours when getting Reiki’d by someone! My Father’s Eyes was similarly gentle, he told us his dad refers to himself as ‘the dude’ (and supports Forest) – I like him already! I’m sure I must’ve missed a few song names – Walk on the Moon and Heaven Forbid were amongst them – a really enjoyable set. Before the next act was up but once Tom was back on the merch desk I wandered over to pick up an album from him – again, it’s as yet unlistened to. Ella grabbed a t-shirt with a cool design from him, which came with a free EP too. I’m looking forward to getting the chance to listen to that, must try to rip them and sync them tonight before bed to get them on my phone. Laura Stevenson was up next – I had done some pre-listening of her, although not as much as I’d have liked. A diminutive figure with a guitar, she introduced herself and announced she had some sad songs to play. She also didn’t give much away by means of song title, grr! She has a tremendous voice though – and what a range. 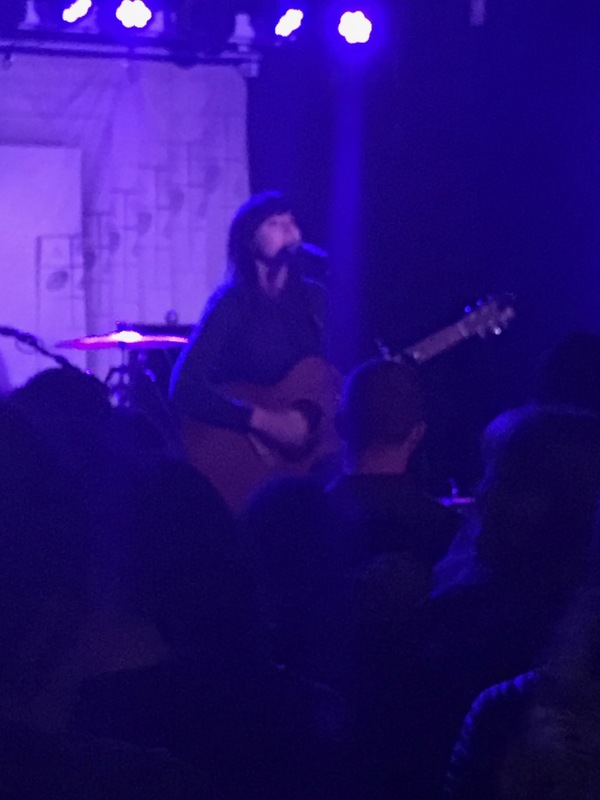 The thing that struck me as particularly charming about her set was that as each song finished she’d take a step back and give a coy nod to the crowd, prompting applause as the song ended. I don’t know why, it was just really nice! She packs a lot of words into her songs, with clever pace and energy changes as well as the aforementioned sometimes breathtaking pitch-changes. Songs I did discern the titles for were A Shine To It, Renée – one that was introduced as ‘a song about dying’, and the finishing track Barnacles – apparently the only happy song she’s ever written. This really doesn’t do her justice, to be fair we spent much of her set adjusting around backpacks, avoiding a noxious trouser-burper but generally being mesmerised. I’ll be spinning the album I have of hers more – and probably looking to acquire more. Much like the other support acts she headed over to the march desk to talk to gig-goers – and hopefully sell plenty of merchandise! Nick agonised about buying a t-shirt and opted not to as he didn’t really like the colour so probably wouldn’t wear it. A sensible move really, it’s funny watching someone I know primarily as a performer having the same dilemmas as me as a punter – I always want to support musicians and performers who I’ve enjoyed, but sometimes there’s just nothing you either don’t already have recording-wise or other stuff you don’t really want! 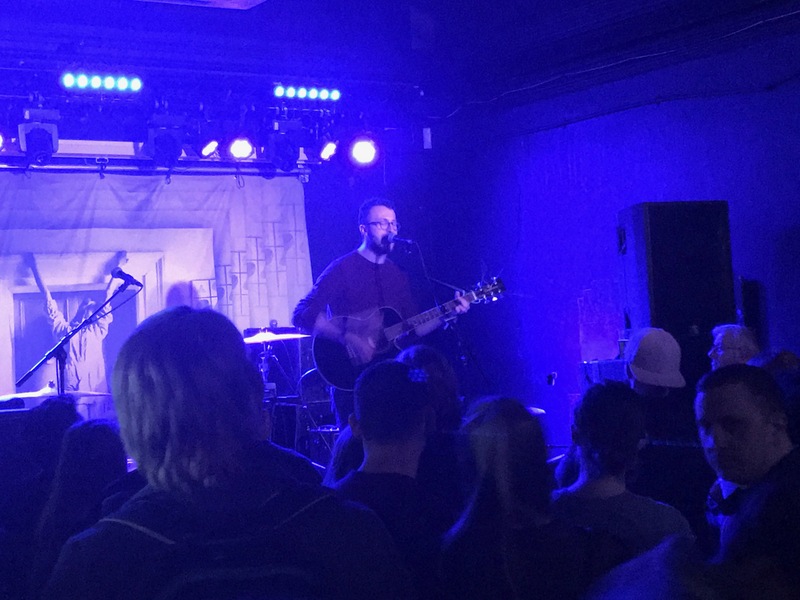 Which left Kevin Devine – I’ll confess I’d not heard of him before Nick suggested we go see him, I’m glad he did. Hailing from Brooklyn, New York. Known for political and introspective songs with an indie twist – he took to the stage alone initially, an unassuming looking fella with a stratocaster. He is an engaging performer – he started off with Ballgame and started off with Just Stay on his own as The Goddamn Band (a bass player and a drummer) joined him on stage and started twiddling with things, kicking in part way through the song to create some NOISE! We transcended from indie to pretty chugging crafted-grunge (is that a thing? ha!). Initially the bass was far too boomy, but the sound man was on the case and quickly had the balance right. It was really loud though! 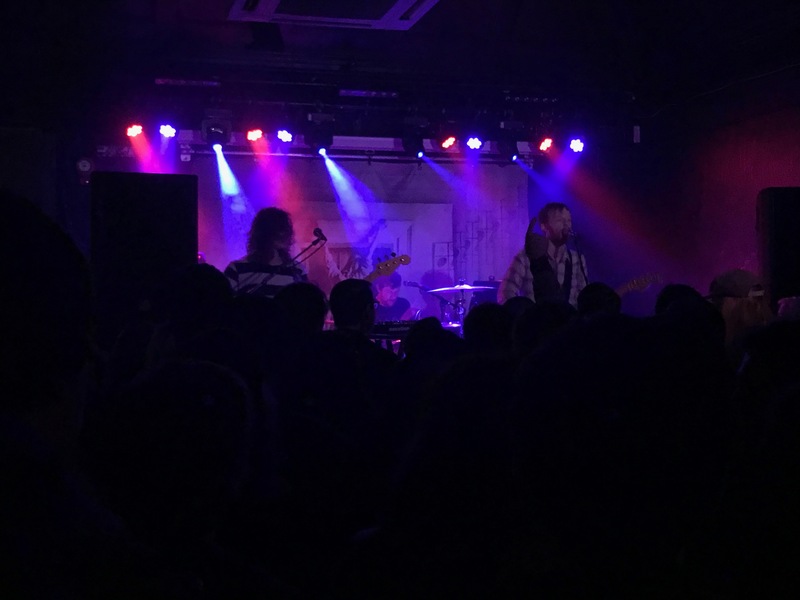 She Can See Me was next, the chemistry between the band was great – both his stagemates contributing backing vocals and head banging when appropriate. A very energetic performance in sound and motion. Bloodhound was next and then anthemic Instigator. Much like with Laura I’d attempted to do a bit of revision on Kevin’s stuff, with limited success owing to a bit of illness last week, so a lot of this was very fresh to me. Magic Magnet with the haunting repeat of ‘I watch the sun die’ repeatedly led into No Why and then No Time Flat. I think the next track was Off-Screen, then it was Both Ways. Up to now it had been pretty relentless with most songs melding straight into each other, a brief respite gave him the chance to explain being up against a curfew and wanting to pack as much in as he could – along with a few amusing intros from 90’s hits. I Could Be With Anyone followed, then another track I missed the title of (d’oh!) (to be fair, I’m getting these titles largely from frantically noting lyric excerpts). Bubblegum was next, then we were treated to an amusing story about his first visit as a performer in Nottingham – he’d met a girl there and things escalated to the point he’d gone with her to her parents house. 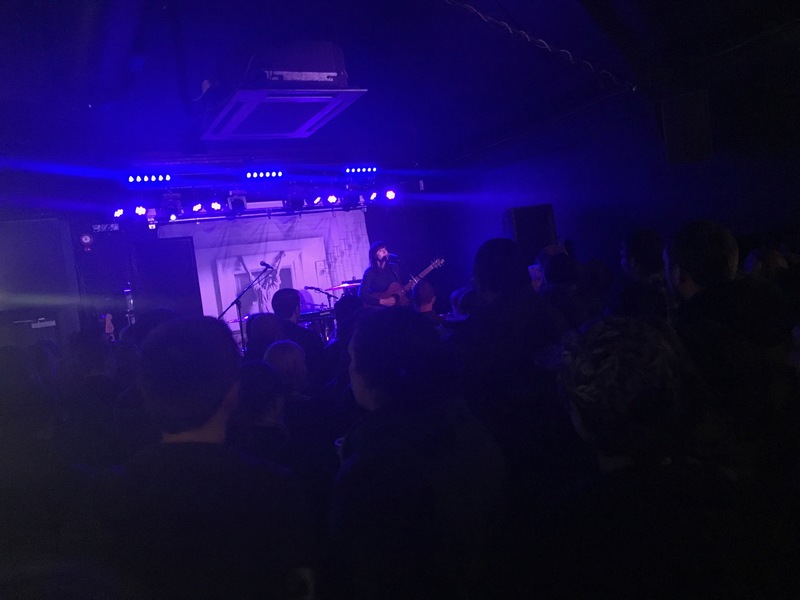 Amusingly eleven years later in Nottingham again he told that story only for the lass in question to be in the crowd, he paused and asked ‘So, are you here?’ – there was a pregnant pause on stage and in the crowd alike, alas she hadn’t returned. Kevin joked ‘I guess I’ll just see her every eleven years, then’. Ha! That introduced Daydrunk which was inspired by those events. So there you go, a little story of Nottingham immortalised in trans-Atlantic song! No History followed (thanks Nick for whispering the title to me as I was frantically noting lyric fragments!). I might’ve skipped another song, but the poignant Redbird stood out before the main set was over with the riotous Cotton Crush (I say riotous, it starts with Kevin and his guitar as the rest of the band join in to put an unfeasible amount of noise behind it for just three dudes). After this the band withdrew and Kevin remained to big them and the support acts up, and amusingly apologise to us on behalf of America. He referenced the protests about transAtlantic events that he’d seen whilst in the UK approvingly. The Burning City Smoking started his solo encore, he described it “an old song that feels new” – you can see why the poignant lyrics resonate so strongly in today’s political climate. He followed this up with a passionate performance of Brother’s Blood – the highlight of the set for me, culminating in him shouting sections of the song without the benefit of the microphone into the crowd, whilst Bodega isn’t the biggest venue and the crowd were playing ball, what a powerful voice and moving way of delivering a powerful song. That brought us to the end with I Was Alive Back Then. 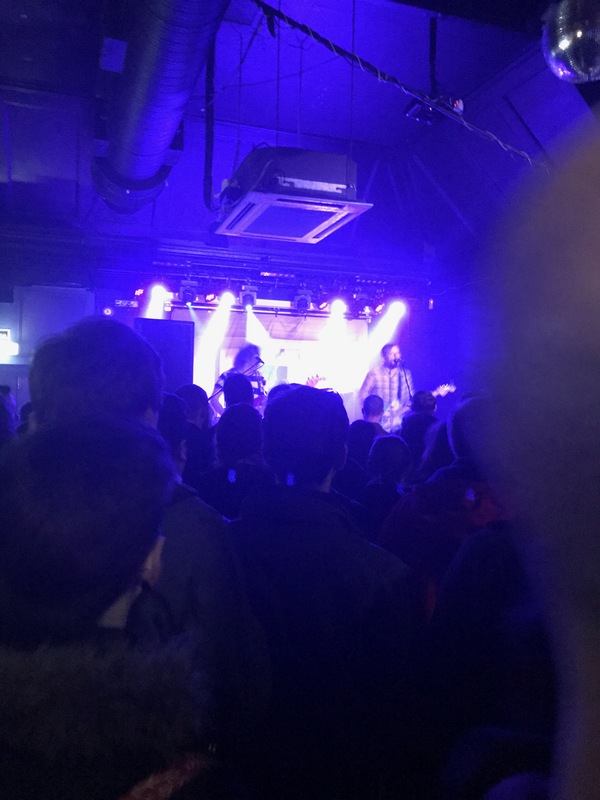 An excellent set – I love discovering new stuff, whilst initially I was discombobulated by being in a familiar room with so many unfamiliar faces (including the acts! ), it was nice to not have distractions of lots of friends to really immerse in the music on offer – four excellent acts. So big thanks to Nick for introducing us to a new musical experience. Post-gig all the artists had loads of time for the people hanging around for a chat – which is great to see, and with the early curfew it meant that despite the reasonable chunk of drive to get home, we weren’t home too late either! A splendid extended weekend – I’m back at work tomorrow with a week and a bit’s worth of emails to wade through, so with that I’m off to bed!